Well the last couple of days have had me pondering how informed are today's youth are with regards to current news, events & isuues in not only their local communities, but their state, country and globally as well. Holidays do that sometimes...allow us to ponder questions we may not normally have time for when teaching, writing reports, communicating with parents and colleagues, etc etc etc. Anyways...last term, I remember mentioning to my homeroom something that I had seen on the evening news broadcast the night before; I think it might have been something to do with the Queen's Diamond Jubilee celebrations in the UK to be completely honest but this in itself is irrelevant. I know that not all kids are ignorant like this, but if do not engage them in the news or current events/issues or promote that they should further investigate what they read, see and hear, then they may not develop the research and synthesis skills they need to survive out in the world. 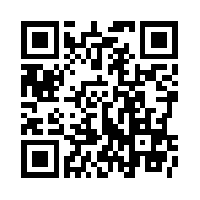 For the uninitiated, what is a QR code? A QR (Quick Response) code is basically a graphics-based link to some place on the web. They can be used to link to any valid URL. More recent uses include the ability to join a network (on Android devices), purchase items from iTunes, initiate Skype calls and download files. How do I input that into my mobile browser? What happens is that the QR app installed on the phone will scan the code, translate it into text and then redirect the user to the intended URL or aforementioned function. What: To give my Year 10 homeroom a worldly knowledge that they may not get from any of their other classes and to help develop their investigation & synthesis of current news, events and issues. How: Using a QR code generator like QR Stuff, and a QR code reader (suggestions in the comments please), create a range of different QR codes for my classroom that cover a range of issues, both locally and abroad, to see whether the students start investigating and understanding, even if only on a basic level. Hopefully by the end of the experiment, they will come out with a more "worldly" knowledge...The hope is that in the long run, we can discuss current events and issues as a class and that a general interest in current news & events is born. Feel free to suggest current news, events and issues that you might think appropriate for a Year 10 homeroom.